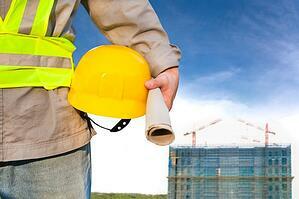 Safety Leaders: Do You Know Where Your Safety Program is Failing? Safety leaders spend much of their time focusing on the sharp end of safety. Implementing and maintaining procedures and programs encompasses what is considered the tactical work of the job. Conversely, the blunt end of safety is where we can find unicorns like strategic planning, measurement, and management commitment. These two organizational aspects highlight the diametrically opposed ends of the safety spectrum, and there is a great deal of literature to support both ends. In most safety programs, there are considerable amount of resources that are expended to prop up both of these aspects. Safety training and education is driven at the sharp end by regulation, subscribed requirements (think ANSI/ASSE Z10), customer requirements, hazards, and risks. Safety at the blunt end is more of a result of organizational decision-making and human capital or people processes. Organizations prefer board certification, years of experience at the sharp end, and often times soft skills (or someone’s ability to keep their mouth shut). With the focus on safety occurring at both ends, this is where many development and training efforts cease. If there is a sharp and a blunt end of safety, then there are a number of the organization’s personnel left scrambling in the middle, trying not to get crushed by the wheel. In most organizations, and definitely in small- to medium-sized enterprises (SMEs), there’s a predictable career path for line employees. You can look at nearly any organization, and your line supervisors or frontline managers have ascended to their position by one of two methods: a) being slicker/quicker/faster/better at their role/position; or b) they are not promotable (for any reason). What is plainly evident in most organizations, is the presence of a gap in resources afforded to supervisors, line managers, and employees with traction responsibilities. “Traction” responsibilities are where program and procedure implementations are turned over to supervisors and managers who may have sat through the same training session on the new program, but now have responsibility to ensure that change is supported. These personnel are promoted, and thrust into positions where often times, there is no training that exceeds the operational responsibilities of the position. Safety responsibilities are neglected, and leadership skills either do not get taught, or supervisors/managers are given “on-the-job” (and often times, ineffective) training. Much like blowing the tread off of a tank, this is the point where the new supervisor/manager may either sink or swim, but the organization fails when this occurs. Coupled with an absence of consequences, this is the equivalent of planting latent failures, only to be discovered following an incident, injury, or worse yet, a fatality. Luckily, there are a few options for ensuring the success of your organization’s safety efforts, and to keep the personnel in the middle from getting crushed. Taking an organizational knowledge management perspective, companies with competent safety leaders in place can develop a safety leadership competency framework. This provides a basis for assessment, measurement, communication and continual improvement of the organization’s safety leadership knowledge, skills, and abilities. Like most safety skills, an organization should not attempt to close the safety leadership gap solely through on-the-job training. Classroom training that is augmented with assessments, role-playing, and other practical activities allows supervisors and managers to learn critical safety leadership skills in a controlled environment. This way, skills and abilities that are expected by leaders can be demonstrated in critical situations.